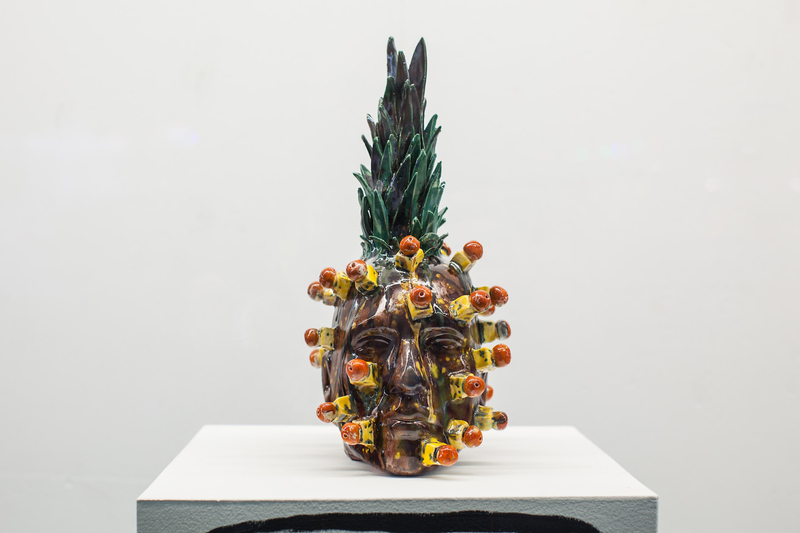 Lindsey Mendick’s autobiographical ceramic works and installations bring cerebral and surreal touches to the everyday. Upon inspection of these staged scenes in her gallery shows, viewers find both elegance and the unsettling in the details of Mendick’s stirring work. Sam Lyon’s recent 3D animations and characters have a particular texture and sheen, reflecting the name he’s given to the series he’s worked on for the past few years: “Jelly Gummies.” Whether it’s a sentient piece of fruit, a Teletubby, or an undergarment, Lyon applies his signature facial features and sensibilities to any given object, and effectively absorbs it into his gelatinous world. 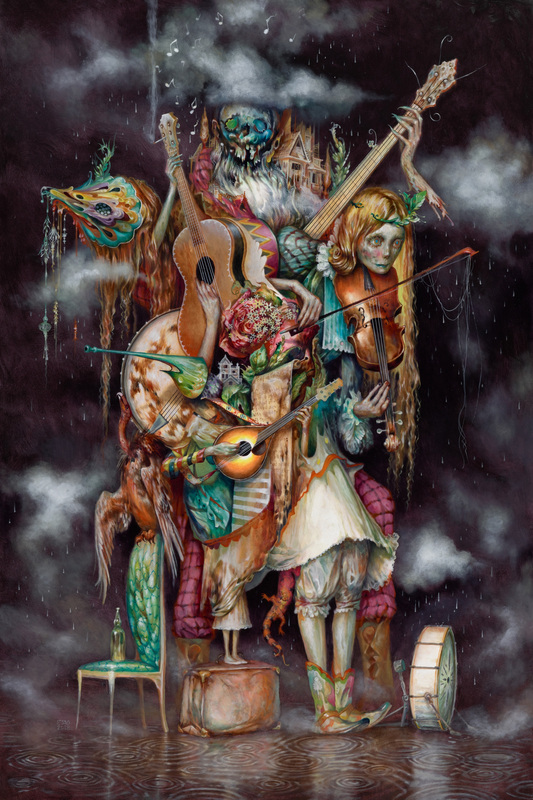 In a mid-career retrospective exhibition at the Mesa Contemporary Arts Museum, Esao Andrews offers paintings that span his career. “Petrichor,” curated by Thinkspace Projects, looks at the riveting, pop surrealist output from the artist, over the past several years. The exhibition kicks off next month on May 10 and runs through Aug. 4. 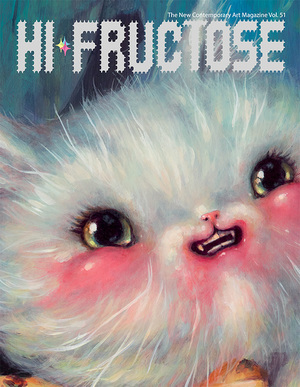 Andrews is featured in the Hi-Fructose Collected Volume 2 Hardcover. 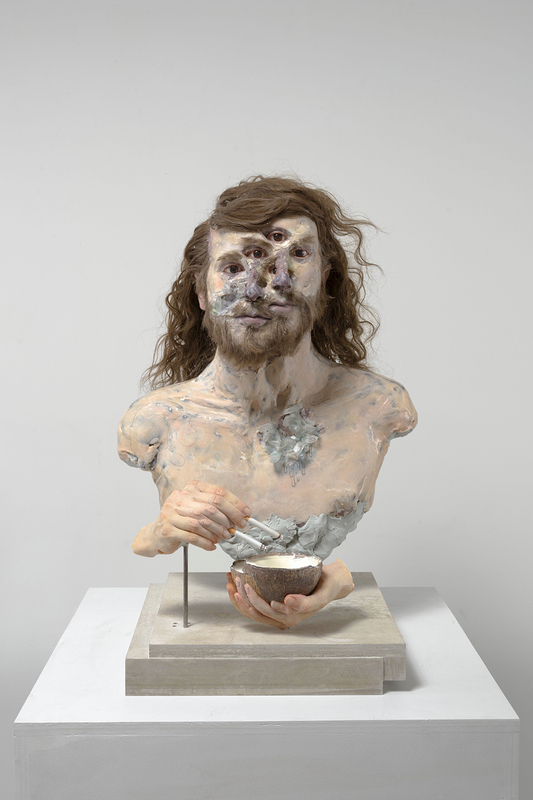 David Altmejd‘s mindbending sculptures return in a new show at White Cube Hong Kong. In “The Vibrating Man,” running through May 18, the artist offers his transforming figures and busts, each its on unsettling, yet absorbing mutation. Instead of any given piece having its own meaning, the artist has said he prefer “it to be able to generate its own meaning.” Altmejd was last featured on HiFructose.com here. 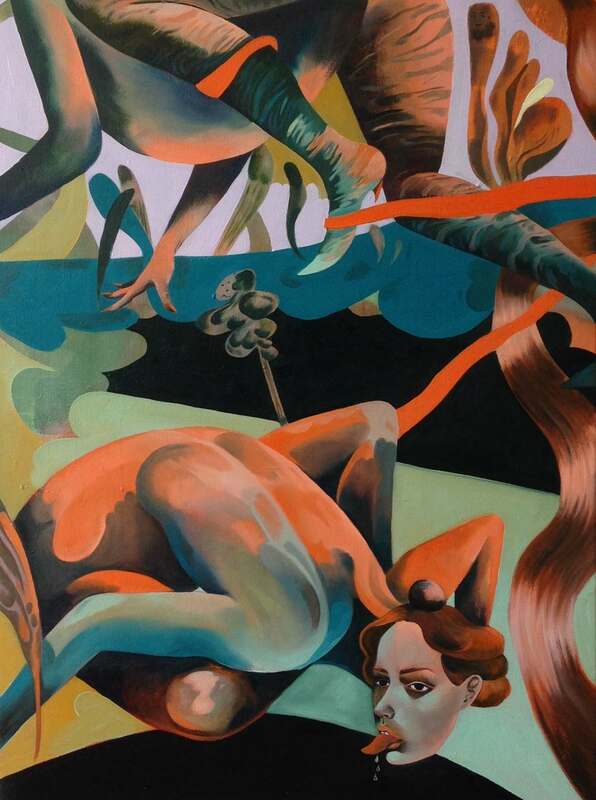 In Jessie Makinson‘s oil and watercolor paintings, the artist looks at how women are represented in both pop culture and art history. Melding backdrops and figurative forms, the artist toys with the contours of both, with dense and elegant results. Recent work on gallery walls integrates that sensibility in fascinating ways in these spaces, her women and mythological characters emerging behind hung pieces. Michael Johansson’s massive sculptures simulate the runners, sprues, and parts that comprise model kits through injection molding. 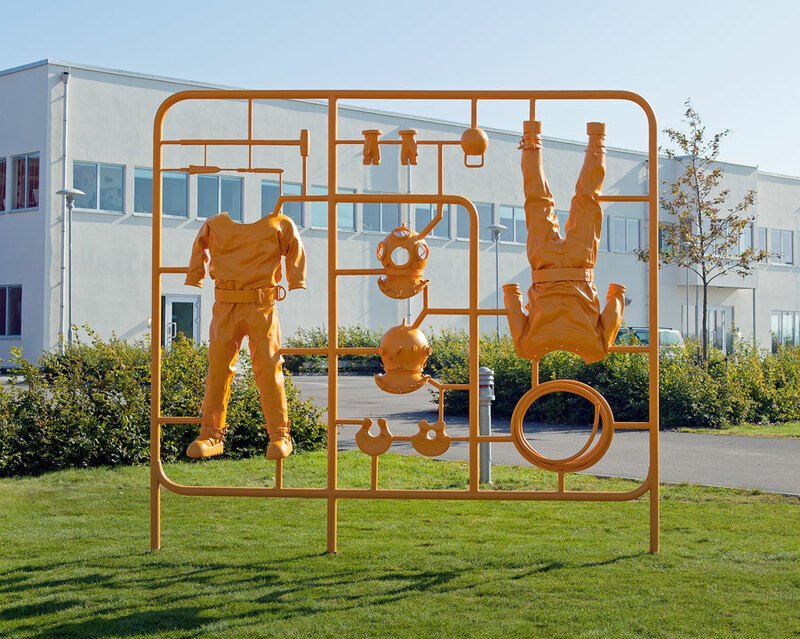 The artist’s public work, which are bronze and aluminum casts, have a particularly playful quality, whether simulating a “firefighter starter kit” or unassembled parts that would build a domestic living space.